Stopped by the LCS today. Picked up a 52 Bowman Solly Hemus RC, a 58 Wally Moon, and an Alex Reyes auto. As I was getting ready to check out, I noticed the Leaf Trinity on the shelf. I was a bit leery at first because I'm not a big prospector, but I had the itch to bust something so I gave it a shot. The first card on top was a Kyle Schwarber Pure Glass clear acetate auto....and let me tell ya, they aren't thin, flimsy acetate. They're like 1/8" thick. So i was pretty psyched starting out. 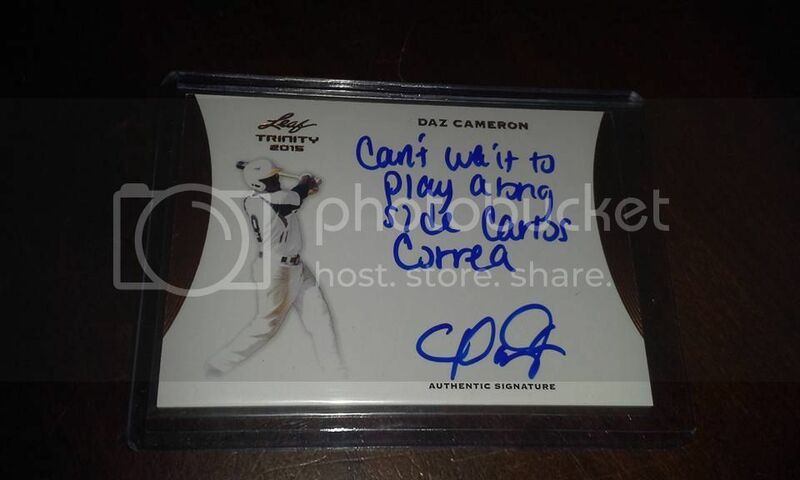 Snagged a Daz Cameron inscription auto. 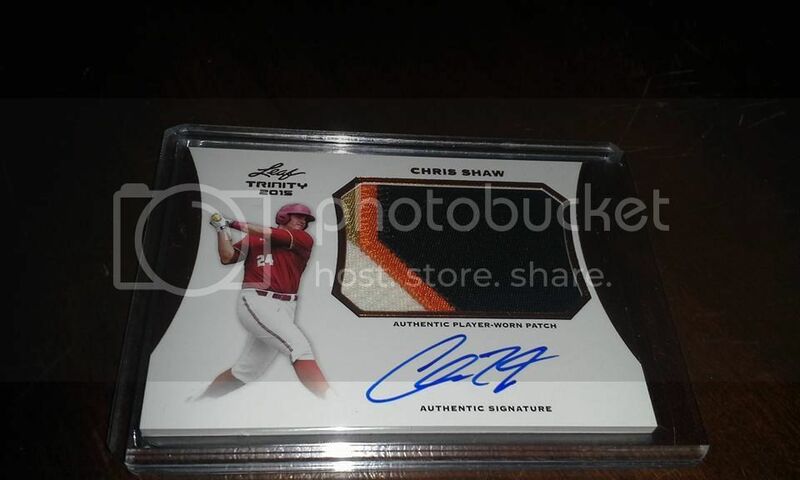 I thought it was a Correa auto at first because the inscription said, "Can't wait to play alongside Carlos Correa." Carlos Correa was the first thing I saw only to have my hopes dashed, but still a cool card featuring the son of retired MLBer, Mike Cameron. 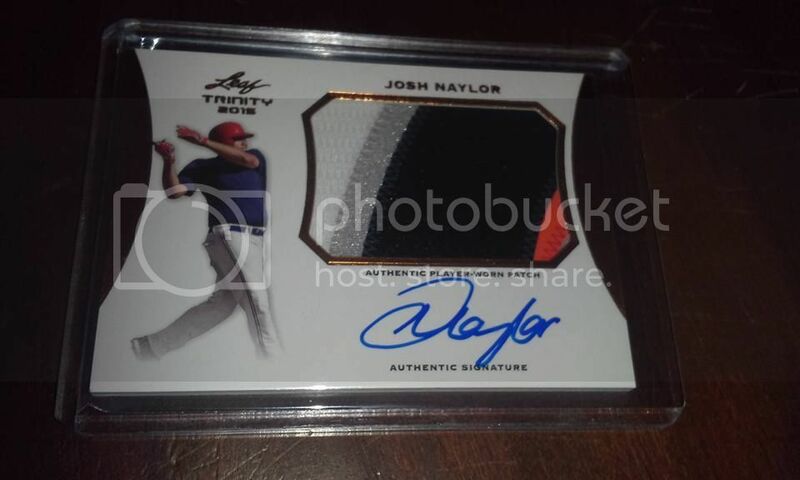 Pulled 3 nice 3-color patch autos featuring Josh Naylor, Chris Shaw, and Jeison Guzman. 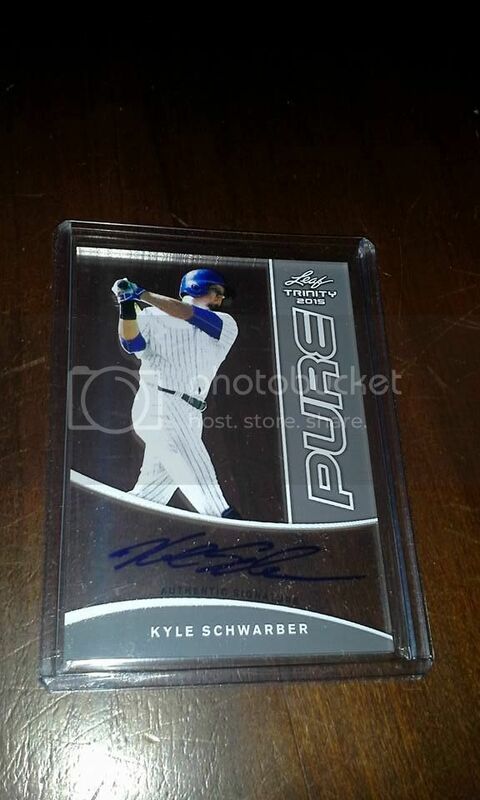 The final card was another Pure Glass acetate auto. 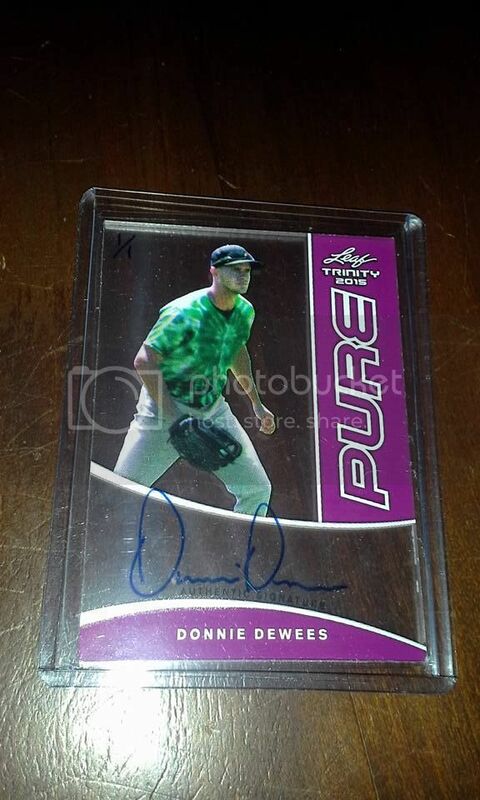 This one featuring Cubs prospect Donnie Dewees and hand-numbered 1/1. 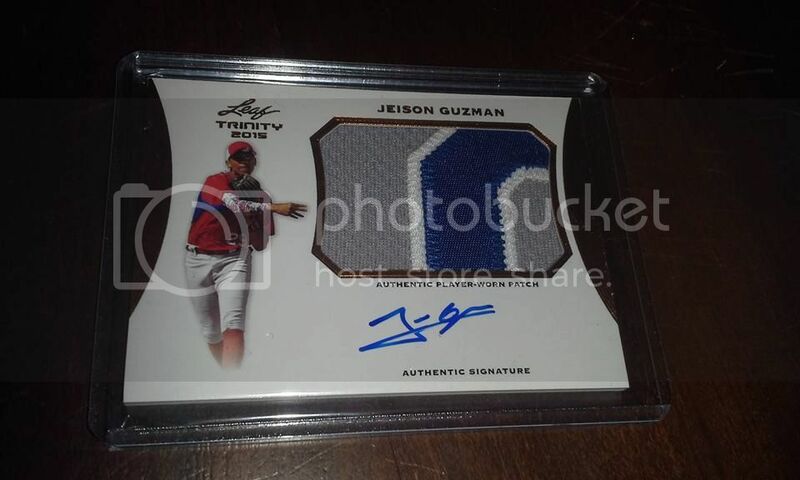 Like I said, I'm not a big prospector but these cards are perty. Pics will be up this week. All are up for grabs except the Schwarber. It's already spoken for if I decide to trade it. The Trinity Box was a good one for you. The Vault...Enter at your own risk!! Can a brother get a little Mojo?! !.....Just a li'l bit!! Trade day is next Saturday at the LCS. There was a guy who moved off the Reyes so I could have it. He was sitting there when I busted the box and told me to let him know if I wanted to trade the Schwarber. If he and I don't work something out, I'll be callin' on ya. I was pretty happy with it which was a nice surprise because usually I don't do well when I open stuff like this.